American landscapes and narratives of the road are themes that run throughout Kelly Reichardt’s work. 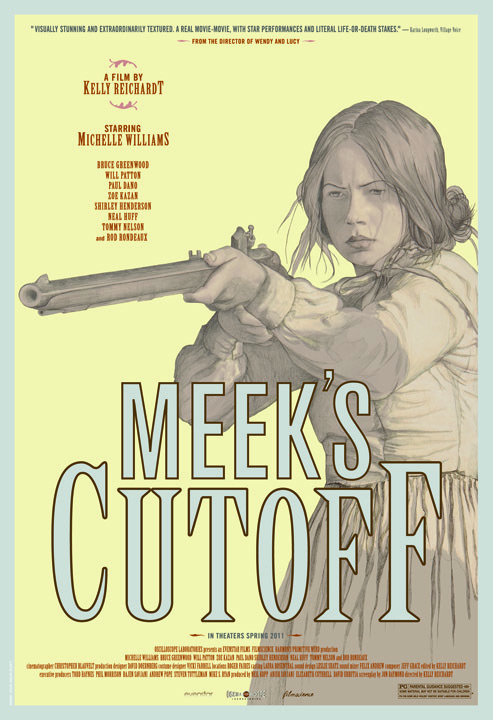 MEEK’S CUTOFF, shot on the dry plains of Oregon’s high desert, offers a vision of the earliest days of American frontier culture. WENDY AND LUCY, filmed along the railroad tracks that surround an Oregon suburb, reveals the limits and depths of people’s duty to each other in tough times. Reichardt’s film OLD JOY is an exploration of contemporary liberal masculinity, set in the tamed wilderness of the Pacific Northwest. ODE, a super-8 retelling of the Legend of Billy Joe McAllister, is set around the creeks and underpasses of the rural south. Her first feature, RIVER OF GRASS, was shot in her hometown of Dade County, Florida. Sun-drenched highways, bus stations and dilapidated motels were the denatured setting for this lovers-on-the-run story. Reichardt is the recipient of a John Simon Guggenheim Memorial Foundation Fellowship and teaches at Bard College.